Close to the action at The Foundry, Brisbane. With an established live music scene once famously dubbed the envy of the nation, Selise McLaggan looks at the venues to visit for Brisbane’s best beats. 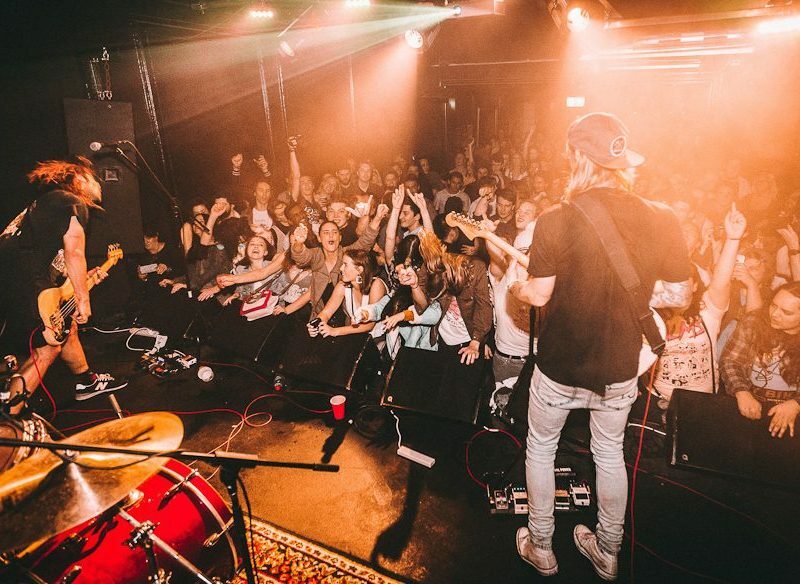 From the early days of The Saints and the Go Betweens, to the meteoric rise of Powderfinger and Regurgitator in the 1990s, to today’s homegrown heroes Violent Soho gracing the cover of Rolling Stone, the Brisbane music scene has always raged strong. Cheap rents in the early ’90s in then ‘wasteland’ Fortitude Valley sparked rehearsal spaces and venues throughout the area. The music scene flourished, buoyed by community radio station 4ZZZ, attentive street press and the support of industry body QMusic. The scene came under threat in the early 2000s when residents of newly constructed residential buildings lodged noise complaints and threatened to destroy the very thing that drew them to the area. But Brisbane’s music scene fought back and, after consultation with residents, as well as music venues and businesses within Fortitude Valley, the area was zoned a special entertainment precinct in July 2006, allowing the area to remain ‘loud and proud’. Located in Fortitude Valley, The Zoo, a stalwart of Brisbane’s live music scene has, since 1992, become quite the cult venue, equally known for promoting up-and-coming bands and playing host to international favourites. The best-kept secret of the locals, The Bowery is hidden in plain sight in the Valley. Cocktail in hand, weeknights you can enjoy the talented jazz outfit playing in the corner, while the weekend brings live soul bands and mash-up DJs. A former WWII hangar in Newstead has been reborn as The Triffid (photo: Issac Sharp). Brainchild of former Powderfinger bassist John “JC” Collins, The Triffid, a disused WWII commercial hangar in Newstead, is now a live-music venue and beer garden, bringing the best of international, national and local acts to Brisbane. Pop across the river for tasty bites, bevvies and beats at The End in West End. With a 100-person capacity, The End’s space is small but that’s all part of the appeal. Kicking back at the free Livespark sessions at Brisbane Powerhouse. New Farm’s arts and cultural hub, the Powerhouse, offers plenty of amazing live shows. Their free Livespark sessions every Sunday afternoon are the perfect way to wrap up a big weekend. With some of Brisbane’s best DJs resident, spinning live sets most nights, Barbara is where you want to dance the night away in the Valley. Check out the bar’s heritage features and original tiles. Mixing it up at The Foundry bar. 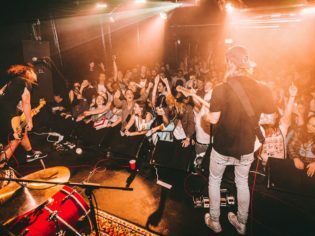 More than just a venue, The Foundry in Fortitude Valley is a creative hub for all things music. Upstairs are a studio and band accommodation, while downstairs, on stage, you’ll be treated to a mixed bag of solo artists, punk bands, dance acts and more. The Tivoli: Fortitude Valley’s gorgeous 1917 Art Deco venue and major touring act destination recently escaped demolition. Phew! Black Bear Lodge: Visit the Lodge for cosy, comfy couch vibes in Fortitude Valley. Ric’s: Right in the heart of the Valley, there’s always someone playing at Ric’s. Always. Junk Bar: This hole in the wall in Ashgrove offers excellent tunes, tasty cocktails and an escape from the ‘burbs. Max Watt’s: Formerly the Hi-Fi, in West End, the Brisbane version of this ‘house of music’ has a larger capacity than neighbouring venues. Sonny’s House of Blues: An ’80s LA dive bar-inspired joint, it’s bang in Brisbane’s CBD. Bearded Lady: You bring the food, and this West End bar supplies the rock ’n’ roll. Crowbar: Calling itself the ‘home of the heavy’ in Fortitude Valley, pack your black T-shirt for this one. Lefty’s Old Time Music Hall: Think old-timey Americana opulence on Caxton Street.